A couple of weeks ago, I set up a breakfast date with my friend Steph (more on that in a later post). Little did I know, my lady friend was setting up a breakfast date with another friend. Instead of missing out on one, I decided that it was my blogging duty to have two breakfasts. I did it for you! Breakfast one was at Lowlands, one of our local cafes, that we go to semi-regularly. It is a lovely space but my favourite spot is outside in the garden — it is light, airy and there is plenty of space. We’ve sat out there in the rain and cold before and felt very cosy (but quite guilty about the staff coming out to visit us). I had “two baked eggs on creamy leek and fennel with apple cider chorizo” and it was delicious. Let’s face it – in my opinion the chorizo was the star of the show. The eggs were a bit too creamy for what I felt like and that is totally on me. It is right there on the menu! What was I thinking? That said, the fennel flavour was excellent and not too overwhelming. Something that I really appreciate about Lowlands is that the serving sizes are sensible. So sensible that I could totally have another breakfast. This picture, however, makes me look like a liar but this was also sensibly sized! 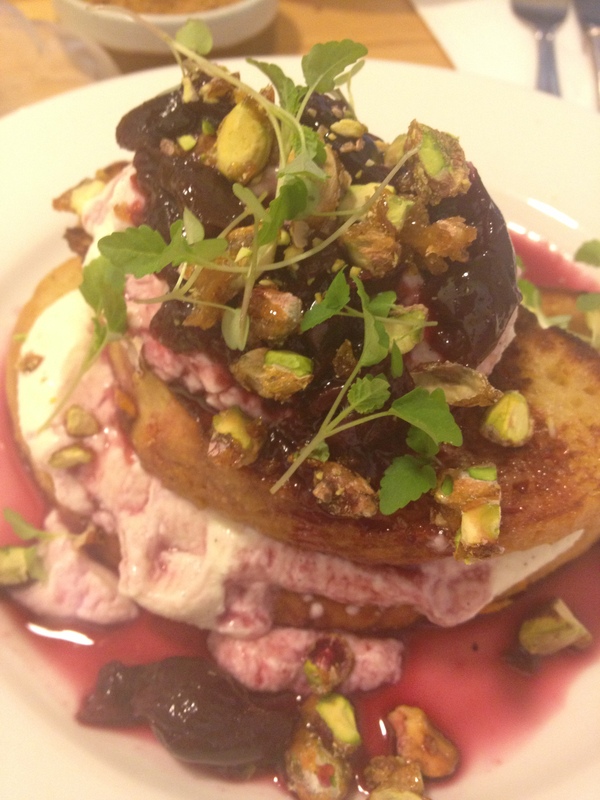 Esther had the “french toast with whipped ricotta, candied pistachios and sour cherry compote” and says that it was delicious and that our 8 month old also enjoyed the cherries. The only thing that isn’t to my taste at Lowlands is the element of coffee snobbery. 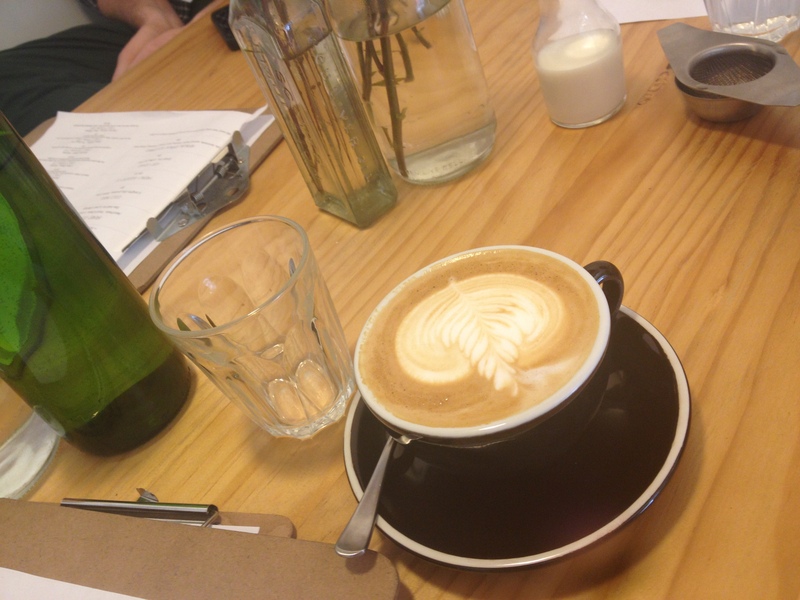 I enjoy the coffee, it is very tasty, I don’t need the history of each individual bean. I know, however, that some people are into that so if you like single origin cold-drip so on so on, Lowlands can do that for you. They also do a good trade in tea snobbery too. In conclusion, Lowlands = totally worth your time! Decent amount of vego and vegan options! Great coffee! Walkable from my house!